Expedia has some great Tioman Island travel packages waiting for you. Combining your lodgings and flights is one of the easiest ways to save cash on your adventure. Would you like to earn savings up to 55%*? Book your group's package deal on Expedia now! With more than 400 airline partners and 321,000 properties worldwide, our global database can help you reach your ideal destination. You never have to worry about postponing your family's travel itinerary, as we don't charge additional cancellation fees for almost all of our reservations. Itinerary looking a little empty? Tioman Island holiday all booked but no idea what to do when you arrive? Let us guide you. There's no doubt our oceans are at risk from threats like overfishing and pollution. Discover how officials are helping to sustain and safeguard fragile marine ecosystems at Tioman Marine Park. There's a wonderful range of things to do in and around this destination. There's something mesmerizing about observing water falling off the side of a cliff. Try to position yourself as close as possible to Asah Waterfall and feel the cool mist settle on your skin. Still have time to spare? There is something bewitching about the undulating swell at the seashore. Open up a picnic chair, stretch out and admire the ever-changing moods of the ocean at Kampung Juara Beach. Accommodations in Tioman Island are difficult to come by at times. With just 8 properties, don't leave it up until the last minute. But don't stress out — Expedia is the home of the best cheap holidays and luxury getaways. 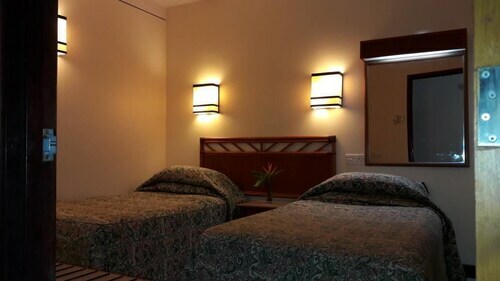 At the Japamala Resort (Kampung Lanting) and the Bagus Place Retreat (No 1C, Pasir Sarang) you'll find warm beds, terrific amenities and great reviews! Tioman Island Airport (TOD) can be found 2 miles (3 km) northwest of the middle of Tioman Island. Find your bags, jump in the back of a taxi and get your holiday started! 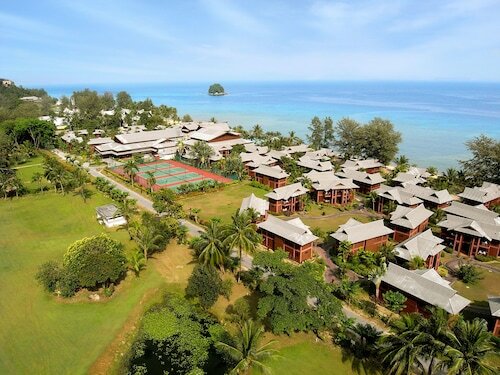 Within easy reach of Tioman Marine Park, this Tioman Island resort is set on its own private sandy beach. Area attractions also include Kampung Juara Beach and Juara Turtle Project. Set on the beach in Tioman Island, this resort is within the vicinity of Tioman Marine Park, Asah Waterfall and Kampung Juara Beach. Area attractions also include Juara Turtle Project. 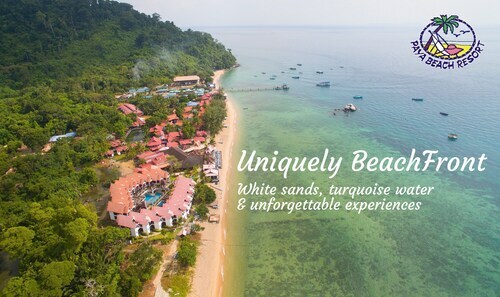 On its own private sandy beach, this resort is in Tioman Island, within the vicinity of Asah Waterfall. Regional attractions also include Juara Turtle Project and Kampung Juara Beach. Situated in Tioman Island, this hotel is steps away from Kampung Juara Beach and Juara Turtle Project. Nestled on the beach, this Tioman Island resort is within a 5-minute walk of Kampung Juara Beach and Juara Turtle Project. 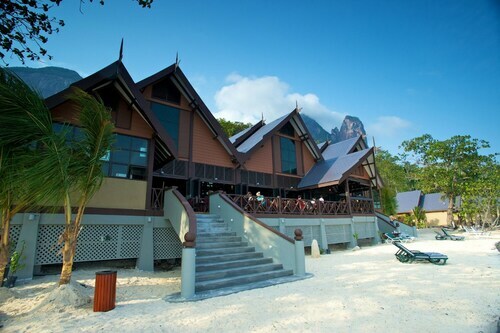 Nestled on the beach, this Tioman Island resort is 0.7 mi (1.2 km) from Asah Waterfall. Situated near the beach in Tioman Island, this golf apartment building is in the same region as Tioman Marine Park, Kampung Juara Beach and Juara Turtle Project. Area attractions also include Asah Waterfall. 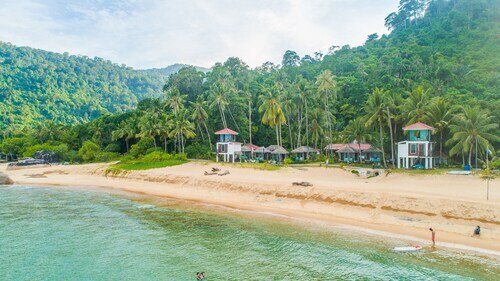 Nestled on the beach, this Tioman Island lodge is within a 10-minute walk of Kampung Juara Beach and Juara Turtle Project.